Discover how Olive Oil can boost Hair Growth. Hair loss is a very serious problem especially for a women. All women love hair and of course their beauty. Hair is very important in the beauty of every woman. You may have been thinking of the best oil to prevent you from hair loss. Many people are so stressed when they discover their hair loss problems. If you have a hair loss problem and you have been wondering what to do, you need to think about Olive oil. This is because Olive oil is one of the best oils you can use to promote hair growth. One of the main reasons for hair loss is the production of dihydrotestosterone(1). 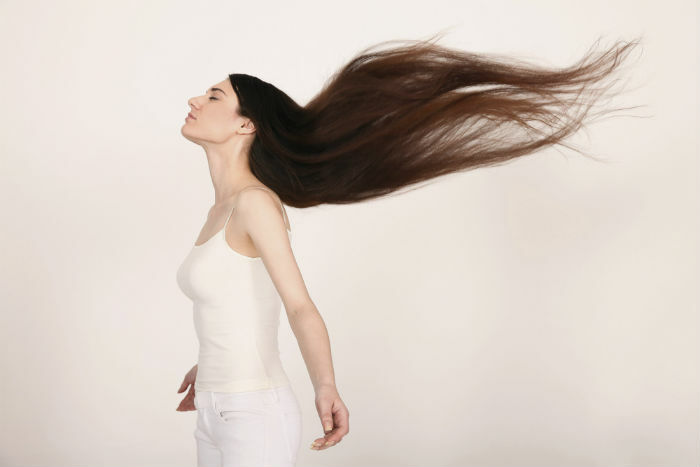 This hormone causes a very significant harm to your hair as it attacks the hair follicles and weakens the hair(2). Olive oil blocks the production of DHT. This helps reduce hair fall and thus promotes hair growth. Olive oil is very rich in antioxidants(3). It has a significant percentage of antioxidants that promotes hair growth. These antioxidants prevent your hair from falling or getting damaged. Olive oil reverses the effects of free radicals. Free radicals cause cell damage. This problem is solved with olive oil. Olive oil has all the necessary nutrients that helps nourish your hair. It has strong moisturizing effects. It is also known to prevent dryness and make your hair manageable. This is the best and most effective use of the oil for your hair. Most women have significantly benefited from this oil. The oil helps to prevent dryness. Olive oil keeps your hair voluminous and thick by reducing breakage. This oil conditions and strengthens your hair and improves the texture and complexion. This oil also keeps your hair from snapping as it is rich in omega 6 fatty acids(4). Note omega 6 is different from the well known omega 3. This oil has antibacterial and anti-fungal properties that helps soothe the scalp. This oil reduces itching, fights dandruff and unclogs clogged follicles. Clogged follicles and dandruff are number one cause of hair loss. To promote hair growth, these problems must be solved first. As soon as you wake up, rinse your hair with shampoo and water. Repeat this process for a couple of days. You will notice a change in 14 days. You can repeat the process until you feel as though it is enough. Make this oil your oil number one and you will never have hair loss problems. Hair loss is a common problem that is generally faced by both men and women. This problem can really be fairly painful and can create a sense of dissatisfaction in you. Generally, an individual loses 80 to 100 hairs every day. But if your hair loss begins beyond this level, then you have to take some actions to prevent it. Each person on this planet can have the difficulty of hair fall. Which can be caused by deficient diet, childbirth, stress, thyroid disease, cancer treatment, birth control pills, fungus infection. Taking foods which are rich in vitamin C is found to be a useful method to avoid this problem. People who are having the problem of hair fall are suggested to add a fine amount of citrus fruits in diet. It enhances the production of collagen. This is a important measurement of growth and endorses the regular development of hair. Unhealthy lifestyle and consuming junk foods can lead to hair loss due to high level of toxins in the body. Drinking lots of water is the best natural method to control your hair from falling down. Olive oil is extremely beneficial for hairs that endorse sound hair growth. Massaging with olive oil helps to maintain hair and scalp health. This works as an effective herbal hair oil to control hair fall. Along with treating hair loss, olive oil also helps to remove dandruff. Lots of us will be looking for of best oils for this problem. Have you ever used Olive oil? Olive oil is one of the best suggested natural lotions that controls hair fall and prevents dandruff. This oil is one of the most excellent herbal remedy that can control hair loss. The herbal components of Olive oil give essential nutrients to follicles that endorse hair growth. Olive oil possesses anti-oxidant and anti-inflammatory, properties that prevent hair loss and boosts hair gain. Olive oil is not having any side effects because it is purely made by natural ingredients. That help you to control this problem without causing any adverse effect on you. Olive oil made with herbal supplements to manage hair loss. It is suggested to use this supplement for 3 to 4 months to get better result. To cure hair loss, first shake the Olive oil before and massage this lotion smoothly on the hair with your fingers for 5 to 10 minutes. To get best result, you are recommended to use Olive oil if possible at night time. Many people have benefited from this oil. The oil has been made using natural ingredients, it does not contain harmful chemicals or additives. This oil is good to almost every person as it is effective and does not cause allergic reactions. It is safe and highly effective. Detox foot pads: Do they work? Are they a Scam?